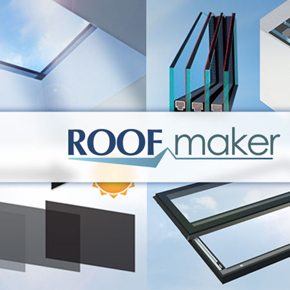 Roof-Maker Ltd is a well established company in the home improvement market helping customers create a style with rooflight and bifold door products that make the most of the natural light with market leading thermal performance and a premium finish. 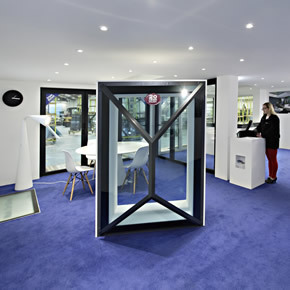 Operating from a landmark architectural award-nominated building in Leicester, the business pioneered the manufacture of high performance glass units in overhead glazing structures. Roof Maker’s Leicester factory has a 30 metre automated glass manufacturing production line capable of making argon filled glass units. Roof-Maker Ltd designs its own unique aluminium rooflights and bifold doors with intellectual property right protection on products and profile designs. The company offers a 20 year unit seal warranty on all glass products featuring its own Reflex sealed glass units. 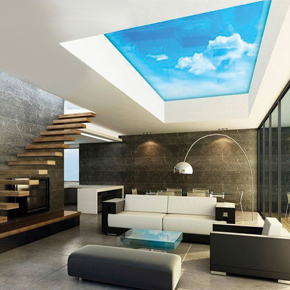 With over 50,000 rooflight products manufactured and installed across the UK, Roof Maker has growing export sales with products being installed as far as Dubai. Major investment over the years has allowed the company to manufacture the glass units in house allowing it to control quality, performance and lead times, double and triple glazed units with walk on glass options are all manufactured on site to BS EN1279 parts 2 and 3. As part of its plans for expansion, Roof Maker has opened a new showroom, which is based in Thurmaston in Leicestershire. 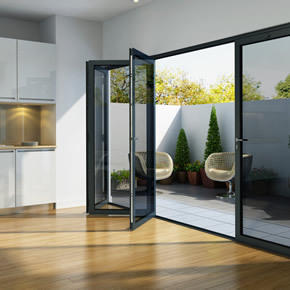 Roof Maker has introduced ThermFold, an insulated aluminium folding sliding door system, which has been designed to complement its existing range of skylights. Roof-Maker has announced an annual turnover of £10 million, marking the company’s most successful year of trading since it was founded in 2001. 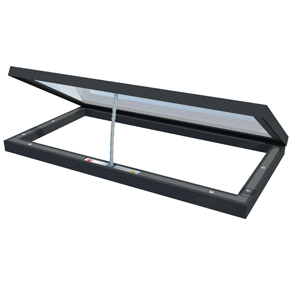 Roof Maker has launched a new Hinged Opening Flat Rooflight, developed as the lightest and most energy efficient product of its type available.